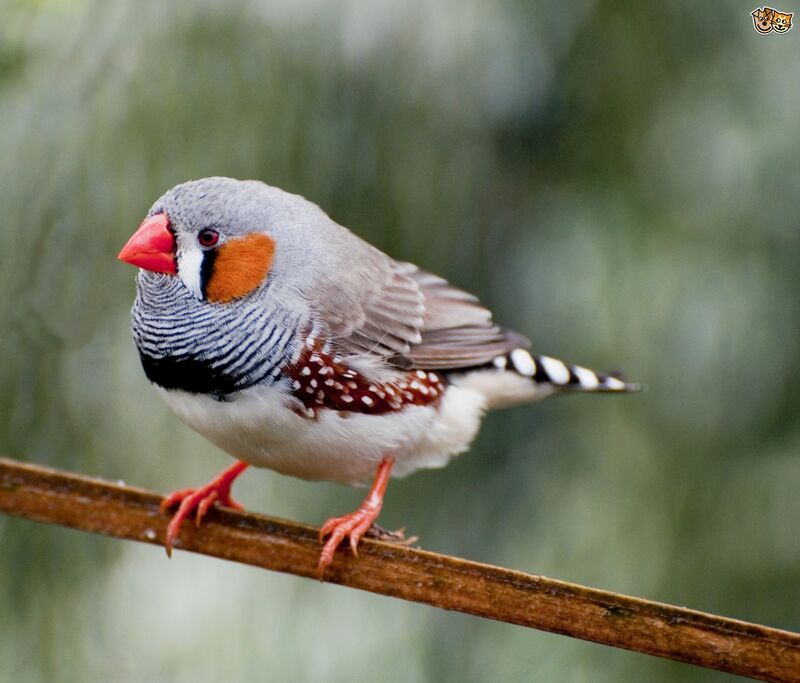 Today I want to write about one of the cutest birds in the world, the zebra finch. These beautiful little birds are only about 10 cm long. The males are much brighter and more colourful than the females. The short, strong beak of a zebra finch is perfectly suited to dehusking and eating the small seeds that make up their diet. They often feed in large flocks of up to 100 birds. They start to breed after a lot of rain as they know that there will be a lot of food available. Zebra finches have been know to build nests in termite mounds, bushes, trees, on the ground, in cavities, in rabbit burrows and on man-made buildings. Pairs mate for life and they normally lay 2-7 eggs at a time. Zebra finches are able to breed from the age of 70-80 days, making them the fastest maturing bird ever recorded in the world. Zebra finches are the most common native finch in Australia and are found in grasslands and forests across the continent except in the coldest or most tropical areas. They are one of a handful of birds that have benefited from human interaction in Australia, using man-made dams as watering holes and land that has been cleared for farming as feeding areas. They are also found in Indonesia and Timor Leste and have been introduced to parts of Puerto Rico, Portugal, Brazil and the United States. They are also a very popular pet around the world and are easy to keep. Are there any other interesting facts that you would like to share about zebra finches? I’ve seen a zebra finch living in the wild in the recreation ground at shoreham by sea ,west Sussex U.K.